As the city began to grow so did the real estate opportunities. A new subdivision deemed Hollywoodland was located near the top of Mount Lee. The sign still stands today minus the letters “land”, as they were removed in 1943 during the sign’s renovation. 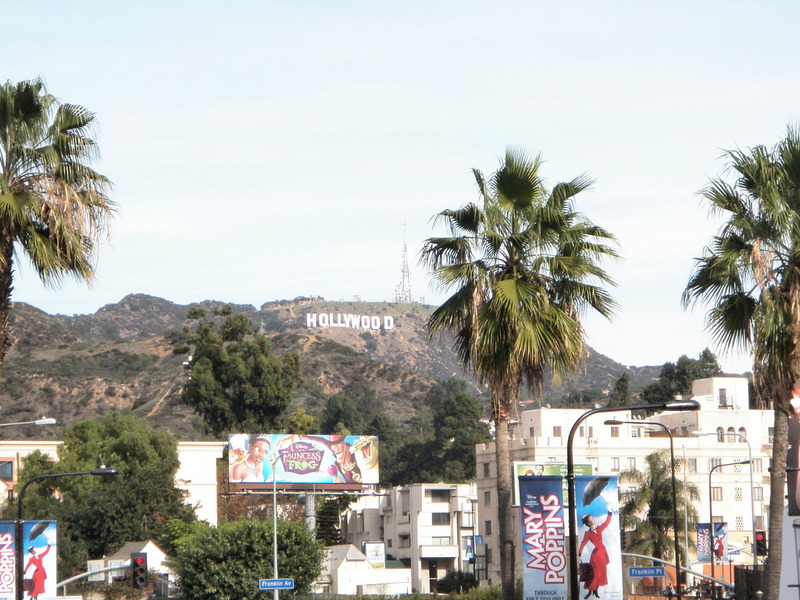 The Hollywood sign has been photographed and filmed more times than any of us could imagine, just with my trip alone I photographed it 5 times! 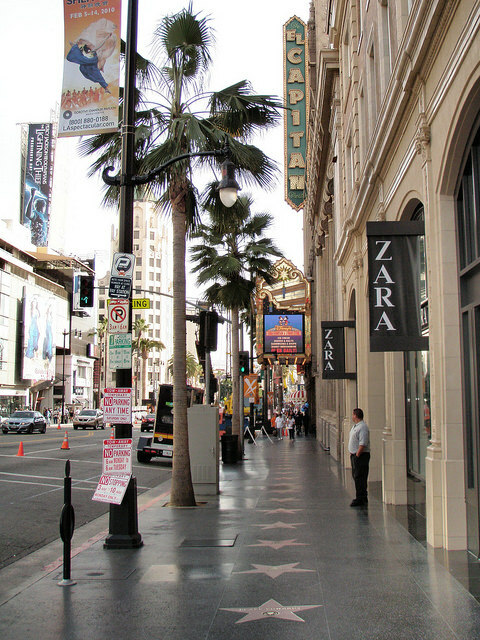 While my friend Laura and I were visiting Hollywood we wanted to take in the classic Hollywood experiences, so we headed to Hollywood Boulevard and walked along the Hollywood Walk of Fame. The sidewalk is lined with stars, most of the stars we saw were stars from music, including the one and only Rod Stewart! Up next was the Grauman’s Chinese Theatre, or Mann’s Chinese Theatre, or now known as TCL Chinese Theatre. The place has gone through more name changes than Liz Taylor went through husbands. OK maybe not that many! I’m still on the fence if you count Richard Burton once or twice… she married him two times! The theatre was built in 1926 and has hosted movie premieres ever since. 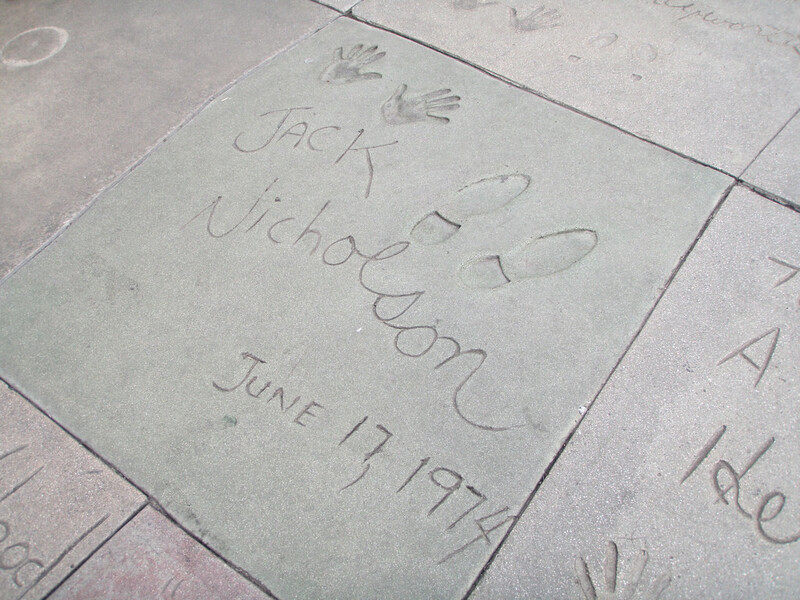 One of the attractions to see at the theatre is the almost 200 autographed squares by celebrities along with their hand and foot prints. 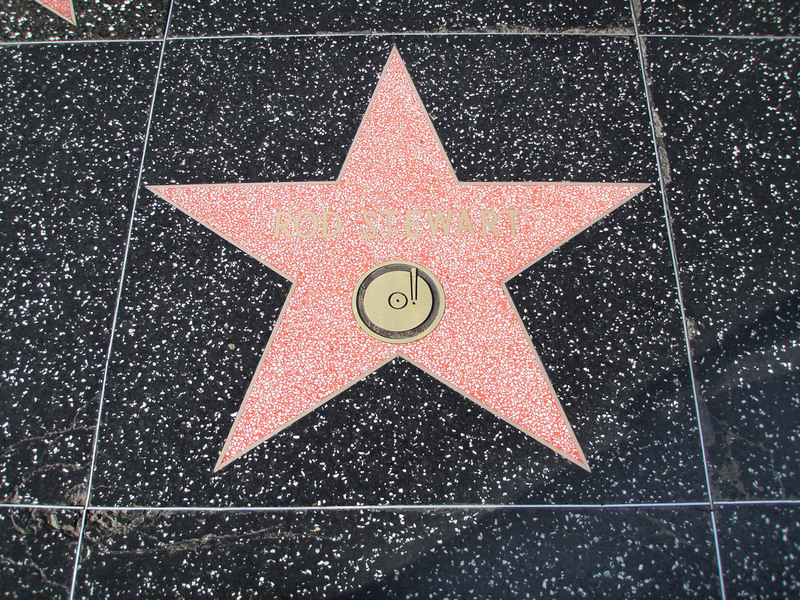 The squares cover many years of stars, ranging from the likes of Steve McQueen to the actors of Harry Potter. 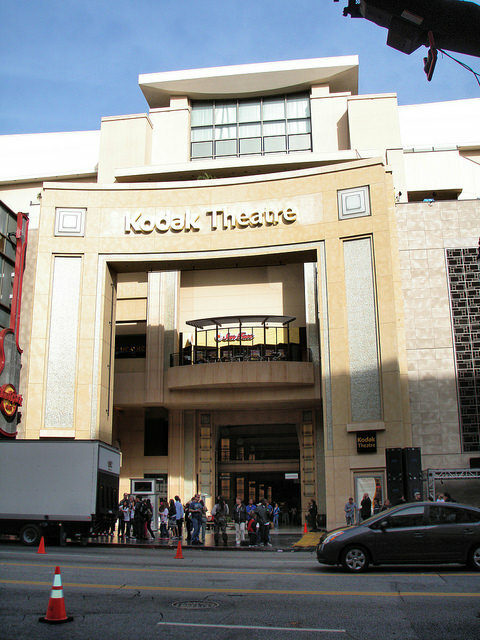 We also found what is now called the Dolby Theatre (formally known as the Kodak Theatre), where the Academy Awards have been held since 2002. 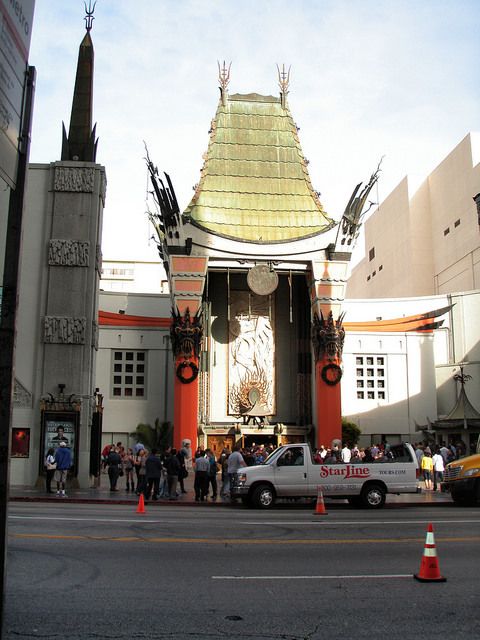 The Awards have also been held in the Grauman’s Chinese Theatre (1944 -1946) and the Hollywood Roosevelt Hotel at the first ever Awards show in 1929. The total time of the 1929 show was 15 minutes… a far cry from the 3+ hours we have now! 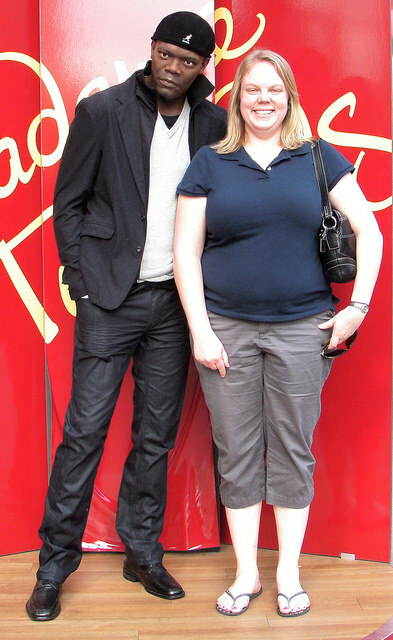 Lastly we got our photos taken with the stars. OK maybe Samuel wasn’t there….